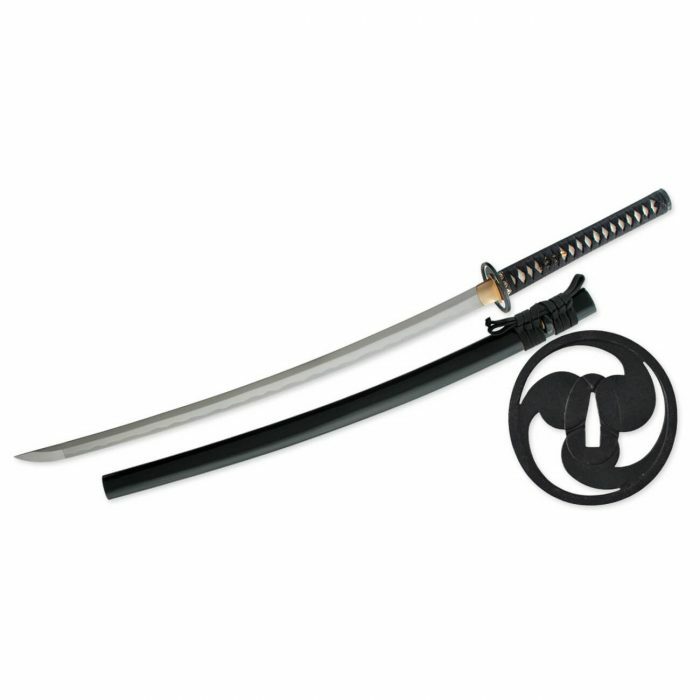 The Great Wave Katana made by Paul Chen for Hanwei displays the Tomoe motif used frequenly for family crests and shrine decoration. 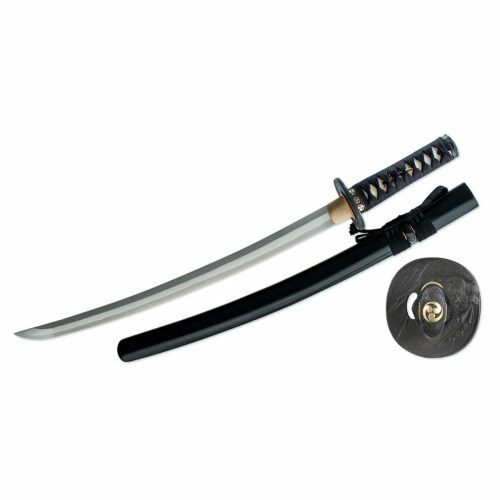 The koshirae are crafted in blackened iron and feature the Tomoe mon. The Great Wave Katana made by Paul Chen for Hanwei displays the Tomoe motif used frequenly for family crests and shrine decoration. 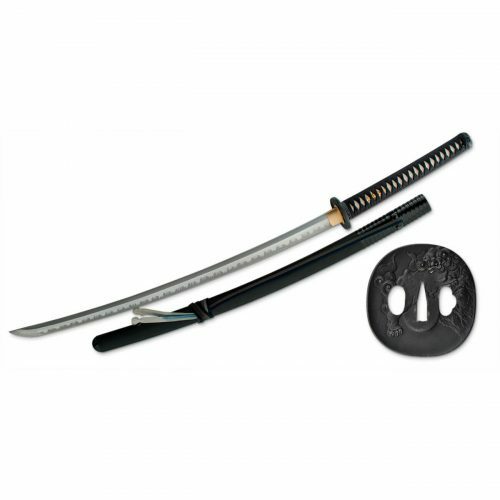 The koshirae are crafted in blackened iron and feature the Tomoe mon. 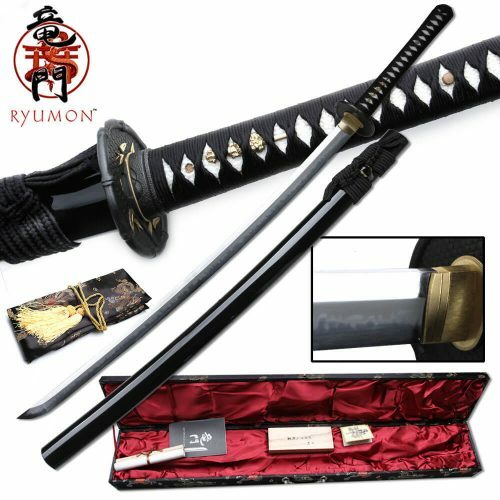 The bladeon the Great Wave Katana is hand-forged from T10 high-carbon steel featuring a long (o)kissaki and is differentially hardened to produce a distinctive hamon. The saya is deeply lacquered in black. 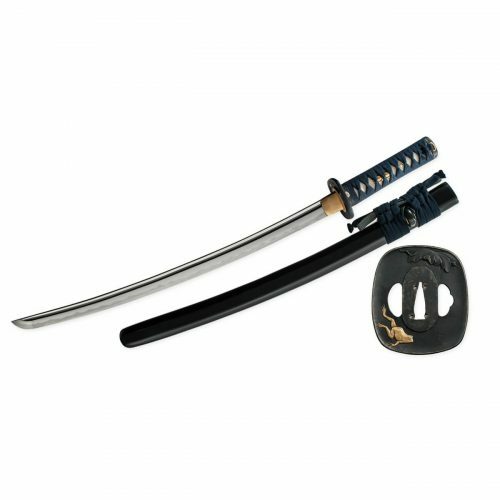 The rayskin of the tsuka has a premium woven Japanese black cotton wrap with a matching sageo.See models SH5002 and SH5022 for the Great Wave Wakizashi and Tanto.